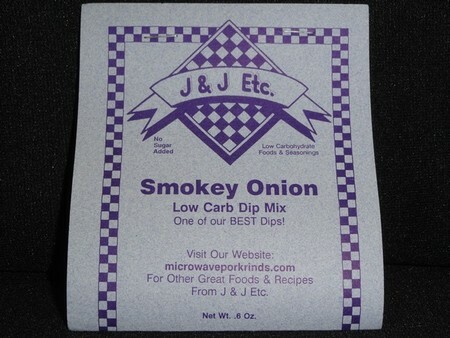 Smokey Onion low carb dip mix: A tasty blend of hickory smoked flavor blended with onions and other carefully selected spices. A palate pleaser for any kind of dipper. You don’t want to miss this one with only 1g of carbs and 0 fat in each serving !